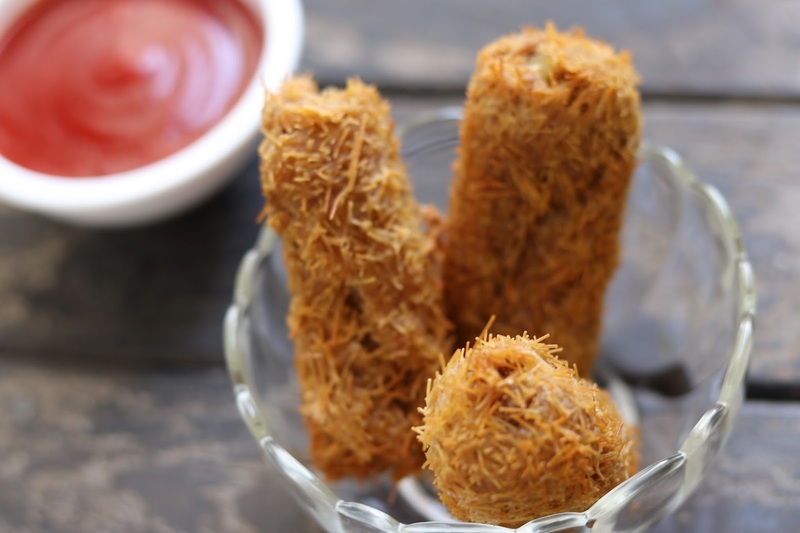 Learn how to make crunchy paneer and potato rolls coated with crispy coating. This is simple airfryer recipe which can be served as tea time snack, a kids friendly recipe is a must for any party. So what are you waiting for !!!! 1. 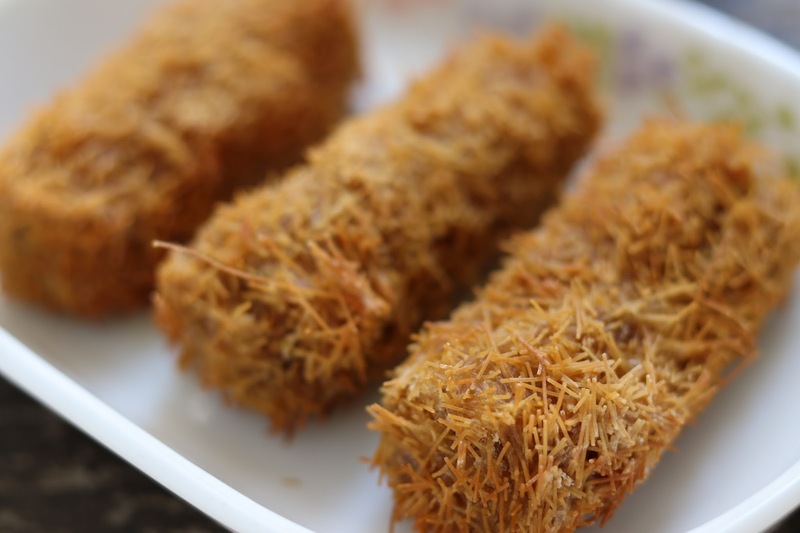 In a bowl, add all ingredients except refined flour and seviyan. Add 1 tsp of oil in the mixture. Mix to prepare a firm mixture and keep in refrigerator for 15-20 min. 2. Also mix refined flour with water to get a smooth paste, nor to thick nor too thin. 3. Prepare cylindrical rolls of the mixture. Coat with refined flour and water paste and then coat with crushed seviyan. 4. 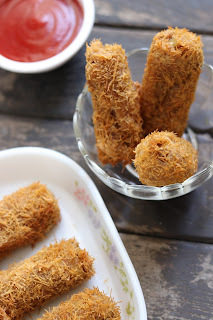 Airfry the paneer rolls in preheated airfryer at 180 degrees for 7 min till it becomes crisp.